This is a no nonsense magazine under the domain of pigs. Followed by £14.36 over 12 months by direct debit.. If you keep pigs or are planning to keep them for both hobby and for profit or for either of them, then to get elaborate, diversified and intricate details about pigs and important information regarding their lifestyle and habits then this is the magazine one should read very essentially. It is published four times in a year, and it aims to provide news about pigs and their habits this magazine is both informative and as well as entertaining for the domestic pig keeper or pig lovers. This magazine is the best possible keeping and rearing magazine in a straight forward, elaborate and informative way it guides the pig keeper with useful advice to raise this domestic animal in a proper way. 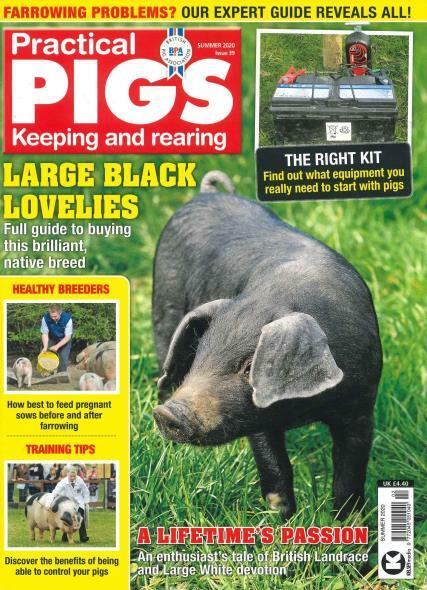 Practical Pigs Magazine has articles by their expert panel which helps readers to understand pigs of different breeds. They have a panel of vet nary doctors who publish articles about the common diseases of this animal and their symptoms along with the medicines that should be given and ways to take care of them.